Tragic news to report, according to a short statement from the Princely Palace, Her Serene Highness Princess Antoinette of Monaco, elder sister of Prince Rainier III, passed away today at the age of 90 at the Princess Grace Hospital in Monaco. 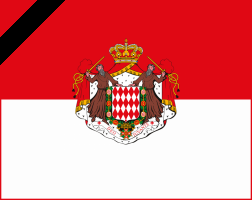 Flags across the Principality have been lowered to half-mast in honor of the late matriarch of the Grimaldi clan. The Princess had been suffering from numerous ailments, and simple old age, for quite some time and had been staying in the hospital for quite a while. The Princess is the mother of Baroness Elisabeth-Anne de Massy, Baron Christian de Massy and was preceded in death by her daughter Christine Alix de Massy. The last public appearance of Princess Antoinette was at the annual meeting of the Union of Monegasque Women. 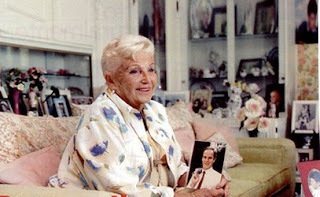 She celebrated her 90th birthday on December 28, 2010. Mad for Monaco sends heartfelt condolences to the Princely Family, our prayers are with them and with the de Massy clan. May the Princess have the light of the Holy Face shine on her and may she rest in peace. The Palace has announced that the funeral for Princess Antoinette will be held on Thursday, March 24th at 10 am at St Nicholas Cathedral. Princess Antoinette's body was transferred to the Palace Chapel today for the immediate family to pay their respects. The Prince has ordered two weeks of public mourning to be observed in Monaco. The Palace staff will pay their respects tomorrow and there will be a special mass said for the family in the chapel on Sunday. After that time the public will be able to visit the chapel to pay their respects to the Princess. After the formal funeral in the Cathedral the Princess will be buried in the Chapel of Peace ("la chapelle de la Paix") which will be attended by the family only. The Sovereign Prince will not be attending the upcoming Rose Ball because of the period of mourning though the Casiraghis are expected to still attend. Princess Antoinette, 1920-2011, born in the reign of Prince Albert I, passed away in the reign of Prince Albert II. Paris Match coverage and Nice Matin coverage. How sad, especially coming so close to the date of the princely wedding. RIP. It is such terrible news. Princess Antoinette was very fond of Albert, very proud of him, and despite her age and many infirmities I would have counted on her to move heaven and earth to attend his wedding. However, she's been enduring alot of suffering for quite a while now and that at least is over. It is just so unfortunate that it had to happen now. 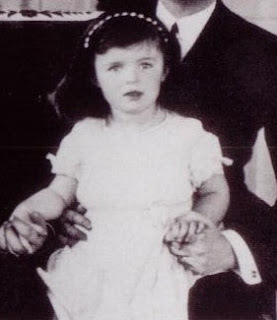 As the elder sister of prince Rainier and as the eldest "member" of the Princely House of Monaco, the Princess had an unique and complex role which made her very interesting. May she rest in peace. Hats off to anyone committed to animal rights and protection. Princess Antoinette has lived such a full life. May she have left this world knowing that the principality, her family, and the creatures she fought for appreciate her efforts.